Say winter, say halwa, and the first one that comes to mind is Gajar Halwa. Sweet and juicy carrots, all in their seasonal vibrant colour, are best for Gajar Halwa. If you can get these sort of carrots, then the result is a guaranteed success. Heat ¼ cup pure ghee in a thick-bottomed pan; add 8-10 medium grated carrots and sauté for five minutes. Add 1 cup milk and ½ teaspoon green cardamom powder and cook over medium heat for five to six minutes or until the milk evaporates and the carrots are cooked. Stir in 1 cup grated khoya and 1 cup sugar and cook, stirring continuously, for two to three minutes, or till the sugar melts. Add 2 tablespoons raisins and 8-10cashew nuts and continue to cook for two more minutes. Serve hot or at room temperature. Add 7-8 grated carrots and 4 tablespoons sugar in a pressure cooker. Add a little water, close the lid and cook till 2 whistles. Allow the cooker to cool completely and open lid. Add 3 tablespoons ghee, 1 cup grated khoya and ½ teaspoon green cardamom powder. Mix well, cook for 3-4 minutes or till moisture dries up completely. Add 10-12 sliced almonds and 10-12 sliced pistachios and mix well. Serve hot. For variety try these too. Peel 500 grams gourd, scrape out the seeds. Grate it finely. Heat 3 cups milk and reduce to around two cups. Heat 3-4 tablespoons pure ghee in a pan, add the grated gourd and sauté for five to seven minutes. Add reduced milk and cook, stirring continuously, till all the liquid content has evaporated. Add ¼ cup sugar, 10 chopped cashewnuts and 10 chopped pistachios and ½ teaspoon green cardamom powder. Cook till the sugar dissolves and the mixture is semi dry. Serve hot or cold. Coarsely grind 15 chopped chickoos. Heat 2 tablespoons ghee in a non stick kadai, add 1 tablespoon each of chopped pistachios and almonds, chickoo paste, mix well and sauté for 2-3 minutes. Add ½ cup sugar, 1 cup grated khoya, mix well, cook on low heat, stirring continuously for 5-6 minutes or till ghee separates. Add 1 cup milk, mix, cook for 2-3 minutes more. Serve hot or chilled garnished with 1 teaspoon almond slivers. Try Aloo & Beetroot ka Halwa, Apple & Almond Halwa, Dry Fruit Oatmeal Halwa! But I repeat, east or west, Gajar Halwa is really the best! A cricket win for us! Sports ‘n activity are always an exciting spot in this hectic life! Our team Khana Khazana Spice Routers kicked off the Blue Sky Cricket Tournament early morning Sunday. Winners of the trophy last year, our team again outplayed the opponents yesterday, Kumar Metals, and so have already qualified to play in the next round on December 10. Dilpreet Singh Kohli scored the essential runs and our office boy Shrikant took an all important wicket at the crucial stage. Congratulations and well done! Saturday, went to cool cool Pune. It is good weather there. I was on the jury of the Upper Crust Celebrity Mystery Basket Contest held at the first edition of the Upper Crust Food and Wine Show, Pune. The panel had eminent chefs from various hotels. Good to meet all the excited contestants and see the passion they had for cooking! 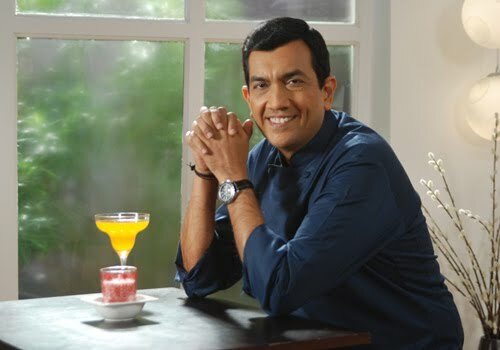 The weekend was good and refreshing and rightly so because the week before was quite hectic with a packed shooting schedule of Sanjeev Kapoor’s Khazana. You have so much to look forward to in the show: cooking with veggies – I have already told you about that, then some easy Chinese recipes too with them. Lovely recipes absolutely ideal for the wintery month of December that has a good seasonal produce of colourful vegetables and fruits both. Our new website is getting warmer! December is packed with Christmas goodies that can also be stretched out into your New Year menus…also being prepared for you is a huge platter of recipes using Chocolate, the eternal favourite of so many! Those who want quick recipes look out for our Under 10 minutes snacks….there is lots more in store for you just around the corner! So till then, let’s say a nice good bye to November with yummy soup recipes! Christmas dinner is a fantastic collection of carefully chosen recipes. We have run through the gamut of courses and the most important, those who have a sweet tooth will sit up, is the dessert course. Well, why not have a number of small presentations and give your family and guests a choice. Or, if they please have them all! After all, Christmas dinner needs to be grand feast! So now that we have to decide the sweet somethings, always remember there is always coffee and cake or coffee and cookies. Those who want to impress with new culinary talent, try reading through these recipes. Sweets, cakes, cookies, puddings, brownies, what have you! Not to forget chocolates and its various derivations in desserts! Christmas dinner is really an indulgent meal but remember, as the year ends and then New Year dawns, make that resolution to shed all the extra weight and enjoy good health! January saw the launch of FoodFood TV channel and the last few months seem to have passed by in the blink of the eye! They say time flies, and I would say, so true! We are about to wrap up the eleventh month of 2011 and this year has been a year of tremendous learning. I would say, any step you take, toward achieving something new, it bound to give you some learning. I am now in the middle of another schedule of shoots for my show on FoodFood and with each schedule the ideas seem to flow easier, the management seems to be easier plus we are extra careful not to repeat all the mistakes that wasted any resources in the previous shoot schedule. My focus, and soon you shall see, is on vegetables and how they are wonderful main courses in Indian cuisine. You are going to be totally floored by what the humble vegetables can play up to on your table. Interestingly, vegetables are often recommended in abundance in reducing diets because of their very small energy contribution and their large amount of water. In fact, green beans, cabbage etc have more that 90% water. Vegetables are important in meals to provide not only an array of minerals and vitamins, but also colour, flavour and textural contrasts. More elaboration as the shows are telecast spread out over the coming months. Spent the weekend in Goa attending an important Marriage. Though it was a hectic and short trip, it is always nice to go there and enjoy some Xacuti, clean breeze and lush greenery. As I said, my focus in on vegetables, so why not start cooking them right away! Christmas dinner recipes are yours to choose from as there is such an influx of new tasty food right now. Christmas dinner requires a menu that can be planned now, yes, even weeks in advance. A short while ago we did talk about how to make pulaos and biryanis a part of the menu, so here we can actually look at the side dishes, or the accompaniments that can brighten up the Christmas dinner table still some more! 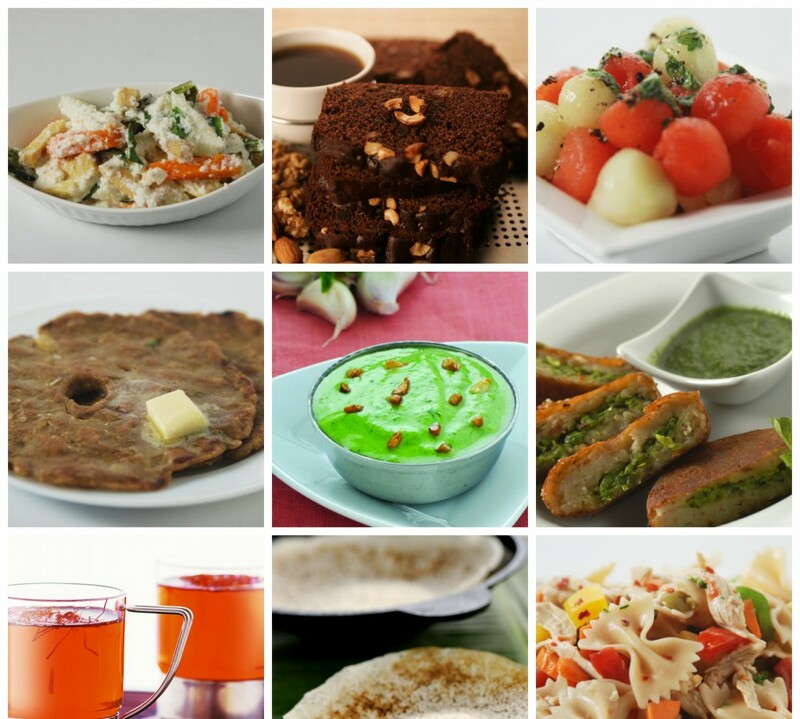 Look at a variety of raitas, salads, dips and chutneys on www.sanjeevkapoor.com. Look at also what papads can be used for – cones to hold stuffings of your choice. This is an attractive piece to have on the table, edible too! Move along to raitas that are now sometimes served as course binders in shot glasses! Yes, it works. If there are a number of crisp starters, then chutneys cannot be far behind. Choose from these really winter special chutneys, that reflect warmth. How about something substantial as well as nutritious? Talking about salads here. Try out salads with light dressings of olive oil lemon juice, garlic, spices. Heavy cream based dressings using mayonnaise taste great but increase the calories. Avoid buying readymade dressings even if you are tempted too. They can be high in hydrogenated oil and high fructose corn syrup. Do not cut up the ingredients so they are so big that they need to be cut while eating the salad, and not so small that the juices and flavours are lost. You could use some recipes that can be part of your Christmas dinner menu.